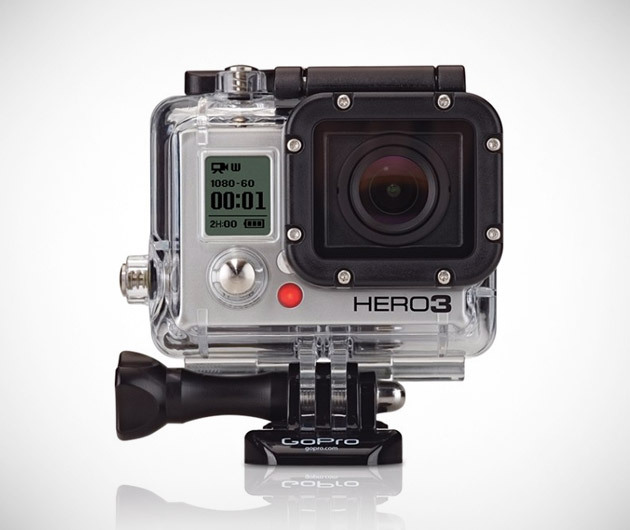 The ultimate action camera for the ultimate action man, the GoPro Hero 3 will capture any place you dare to venture. Available in three models, in ascending order of white, silver and black, each has varying degrees of gadgetry but all are water proof, shock proof and boast built in Wi-Fi. Let the adventures begin.